Discover Stickman Hook, the new MadBox game! Minor bugs fixed, some new content is coming soon! I love the overall mechanics of the game and it runs smoothly. There are only two problems I have. The first problem is the new shop. I was on level 296 when the shop first came out. However, it said I must teach level 5 to unlock the shop. So I played 5 levels and got to 301 but the shop was still not unlocked. So I deleted the game and played till I got to level 5. I unlocked the shop and started earning skins. Then when I was at level 32 i went to go change my skin. It said I must reach level 20 to unlock skins. I played another level and when back to the skins. Now it said I had to reach level 5 to unlock skins. The second problem is the ads. The amount of ads in this game is unbelievable. There is an ad almost every time I beat a level. Or another ad every couple of times I die. I know you are trying to make money off of ads because this is a free game, but there is no point in this many ads for a game like this. I can tell this game didn’t take as much effort to make as much as other free games. So there shouldn’t be as many ads. The ads just show how greedy you are. I know there is an ad removal in-app purchase, but, speaking on behalf of a lot of other people, nobody wants to spend $3 on a game like this. If you would fix these two problems it would be excellent. The game would be worth playing and I would have a goal to reach and I wouldn’t have to watch 20 ads every time I played. Thank you. I love the idea of the game. First I just wanna day I love your game and I use it to pass time all the time! But there are a few things I would like to improve. First About the level generation I think that it just pastes pre made level parts to make a level I don’t mind it and it can get really fun but it’s kind of repetitive. All I want is more level parts that are more challenging and interesting. Second this kind of relates to the first one but the levels are just to easy I really want a harder difficulty setting with its own shop or instead of skins it could give us trails. Third this relates to the second one, I think there needs to be more shop items or tails or custom trampoline blocks or something new to the shop. Last but not least I don’t really like the animations, Now it’s not like I don’t like all the animations it’s that I don’t like the curl into a ball in the air animation. First it’s not smooth, second it’s just bland and third I feel cheated because I don’t get to see the skins I work so hard to get because it’s just a ball most of the time. I really hope you don’t take this the wrong way because I really like the game and I’m not sure if this is helpful or not because this is like my second time giving a review and I hope I helped the development of the game. 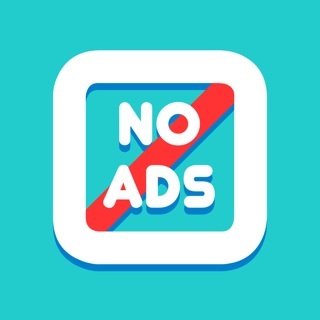 While this game is very fun and addictive, I am highly disappointed in the quantity of ads in the game. An ad appears EVERY time you begin and finish level (or die). On top of that, I would say that about 1/6 of the time an ad appears DURING the level, cuasing you to die and having to watch yet ANOTHER ad! While I understand that these ads are what allows the game to exist, I think there are far better was to present them. For example make half of them a CHOICE in exchange for an extra life/chance for a failed level. I often find myself leaving the game in frustration over the advertisements. The ad issue is extremely unfortunate becuase if it where not for this, this game (in my opinion) would be at 4 or even 5 stars! It is extremely simple yet entertaining! And it is these types of games that make great “on the road” games or simply to pass time. My only other complaint is that the level out of 40 that displays is simply not true. The levels continue forever and you receive no reward for completing level 40. It’s not the fact that there are infinite levels that bothers me, its the fact that the game is deceiving the user. For the most part this game is great, there just needs to be some tweaks to it. Get rid of the in-game ads!